I’ve always loved autumn – the smell of chestnuts and burning leaves filling up the crisp air, the sweet taste of mulled wine on my lips as I wrap myself up with a scarf, the sun shining through the leaves, lightening them up like an orange light bulb… This year, with Chianti right on my doorstep, I have even more reasons to enjoy autumn. And I’m not gonna lie, the delicious Chianti Classico is one of them! The narrow road was twisting and turning as I was slowly passing Greve. 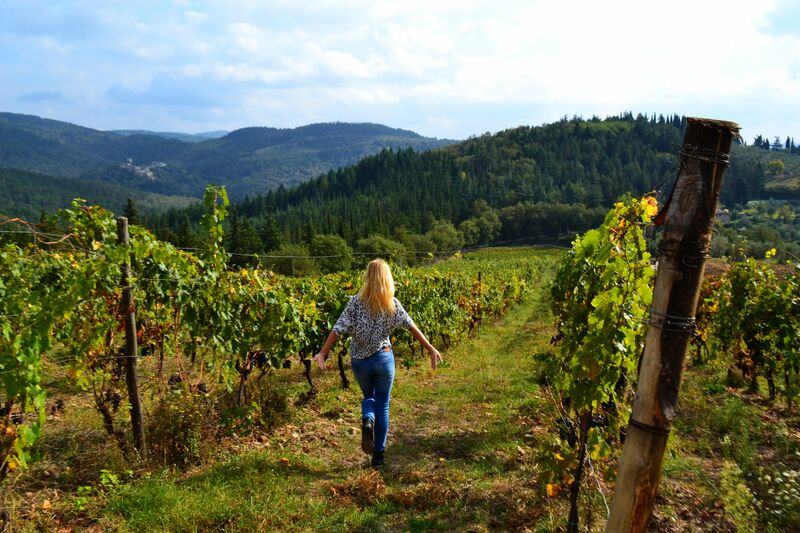 A lot has changed since I visited Chianti in September – the gentle curves of the Tuscan hills were now speckled with red and yellow trees, their leaves swirling down whenever the wind blew. The olives were round and tender, almost ready to be picked. With the grape harvest almost over, most vines were empty again. October is the busiest season at the wineries because this is when the wine production begins – which makes it the perfect time to visit! My plan for the day was to visit Riecine and Villa Vignamaggio, two very different but equally wonderful wineries. 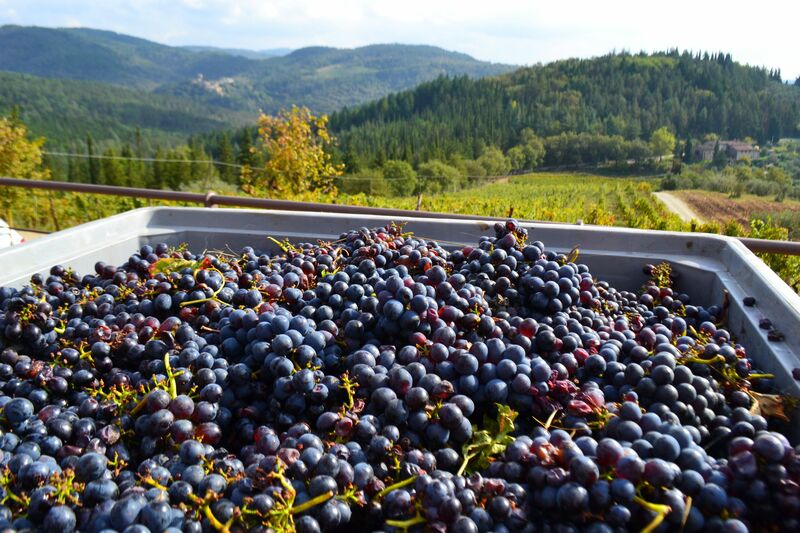 I reached Riecine just as the freshly picked grapes arrived, ready to be crushed and fermented – the whole place was bustling and smelled of grape juice. Owned by an Englishman Sean O’Callaghan since 1992, Riecine wine estate has a very modern feel to it – and I don’t just mean the stylish, minimalist décor of the cantina, but also their experimental approach to winemaking which has already won Riecine a few awards. Their Chianti Classico is made from 100% Sangiovese grapes and tastes wonderful. My favourite, however, was the more delicate and refreshing rose – sipping it from a terrace overlooking the vineyard definitely added to the flavour! Grape stomping! Riecine is one of very few wineries where grapes are still crushed manually. The winemaker believes that gently crushing the fruit instead of doing it mechanically prevents the grape seeds from smashing and hence helps preserve the naturally sweet flavour. It’s also more fun, too! 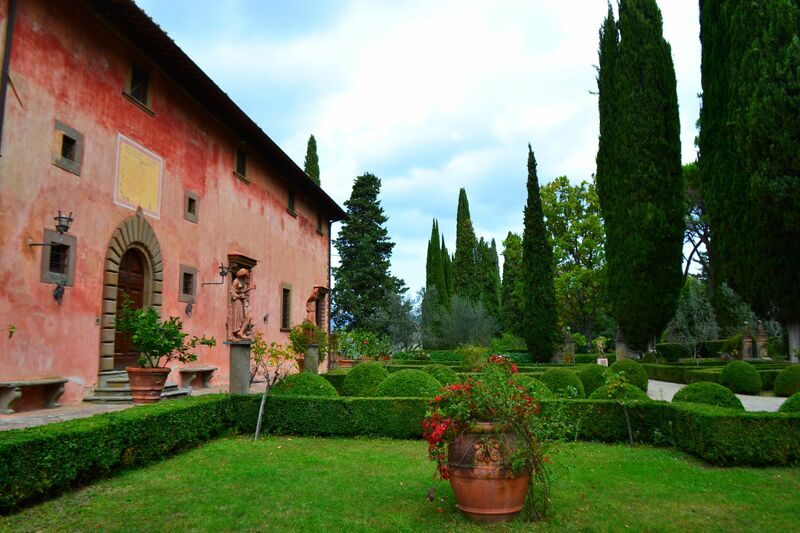 The enchanting Villa Vignamaggio, very different from the modern Riecine , is the oldest wine estate in Chianti. It’s been producing wine since 1404, using traditional methods (it really doesn’t get more traditional than storing wine in the 15th century cellars!). 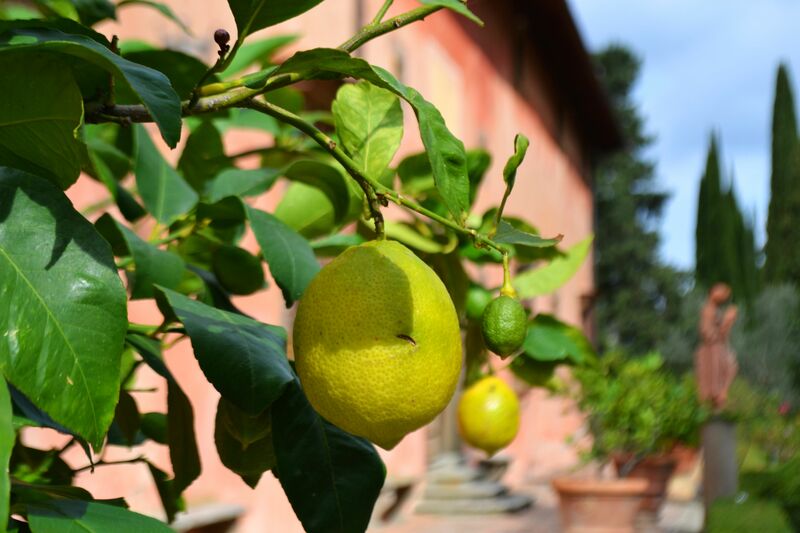 But it’s not just the winemaking where history has played a role – the pale-pink villa, surrounded by a beautiful garden, olive groves and the Tuscan hills, used to belong to the Mona Lisa’s family. Some even claim that this is where Da Vinci painted his famous masterpiece. The combination of the villa’s romantic past with the stunning surroundings and respect for the tradition, lovingly cultivated for 600 years, makes it a magical place. You can feel it the moment you walk past the grand metal. Villa Vignamaggio produces a variety of wines, including Chianti Classico and Toscana. Unlike Riecine, most of their Chianti Classico is made from 80% Sangiovese grapes. My favourite was the slightly fruity Gherardino. What are your favourite wine estates in Chianti? Are there any places you would recommend? Share your thoughts in the comments below! Thank you very much for sharing! I’m looking forward to watching the video!